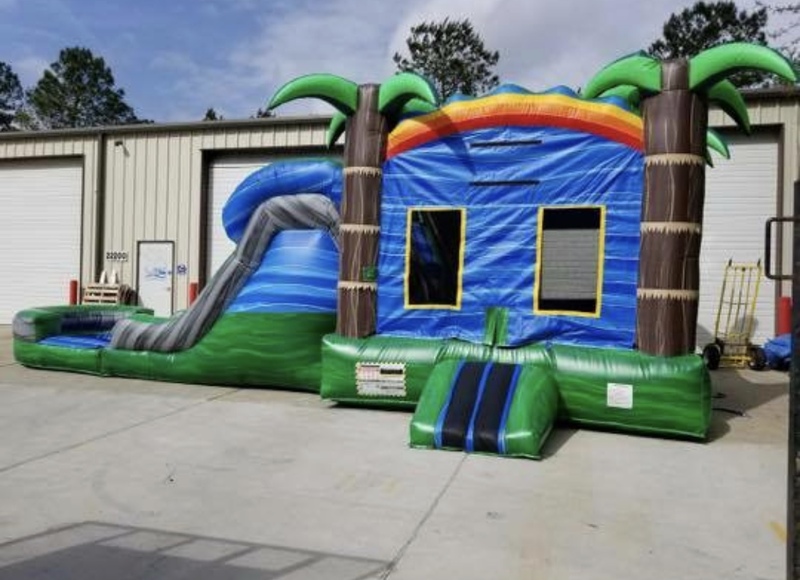 If you’re having a tough time of choosing between a water slide or a bounce house for your upcoming Lafayette party or event, why not go for the obvious answer: both! The Tropical Dual Lane Combo (Dry) serves up exactly that, all wrapped in a fun and relaxing tropical aesthetic! The unit is decorated in greens, blues, and other bright hues that instantly transports you to an enchanting island retreat, palm trees and rolling ocean waves included! The Tropical Dual Lane Combo (Dry) consists of two separate attraction: a spacious bounce house (also known as jumping balloon or moonwalk!) and an attached inflatable slide! The slide can be used either wet or dry, making it perfect for any event regardless of the weather conditions! This inflatable stands over 12 feet in height and 33 feet in length. 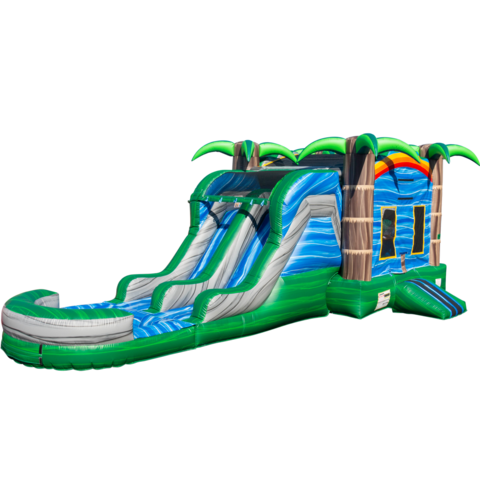 Feel free to call Bounce E Bounce, LLC directly if you have any questions, and when you’re ready, you can use our online booking system to reserve the Tropical Dual Lane Combo (Dry) with just a few clicks!